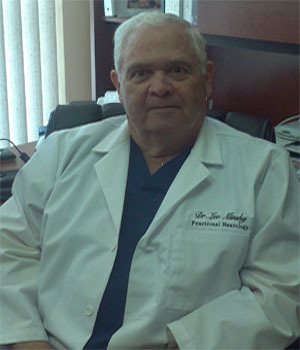 Dr. Leo Minsky, founder and director of The HealthCare Center located in Deerfield Beach, Florida, has over 40 years experience treating difficult cases. He now concentrates his practice in the neurologic and metabolic support of chronic conditions, along with traditional structural chiropractic care. Dr. Minsky has partnered with one of the nation’s leading Chiropractic Neurologists and author of the best selling book, “What Do You Do When the Medicines Don’t Work?,” Dr. Michael L. Johnson. As an active member of this group, www.lifechangingcare.com, he consults with hundreds of the nation’s leading chiropractors specializing in functional neurology and metabolic disorders. He was raised in New York City and graduated from Palmer College of Chiropractic in 1969. In 1976, he became a Diplomate and instructor in Applied Kinesiology and is presently the only Diplomate of Applied Kinesiology in the Deerfield Beach area. He was also an instructor in anatomy, physiology and neurology at the New York Chiropractic College. He holds diplomate status in the American Academy of Disability Analysts and the American Academy of Pain Management as well. Dr. Minsky is always seeking the newest and most appropriate care for his patients and has always had a thirst for knowledge. Today his clinic is on the cutting edge of the health care industry. With his combined knowledge and experience, Dr. Minsky renders a personalized approach to recovery that respects the uniqueness of each individual patient.